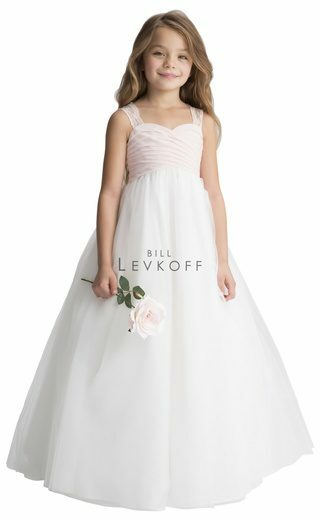 Bill Levkoff Flower Girl dresses are designed to put that perfect finishing touch on any bridal party. Each dress is made to compliment one of the many top Bill Levkoff bridesmaids and Jr. bridesmaids styles. Choose from a variety of tops in all colors complete with an ivory soft tulle skirt. Please visit our store to see the selection we have to offer. Click on the link below to browse the full flower girl collection from Bill Levkoff.